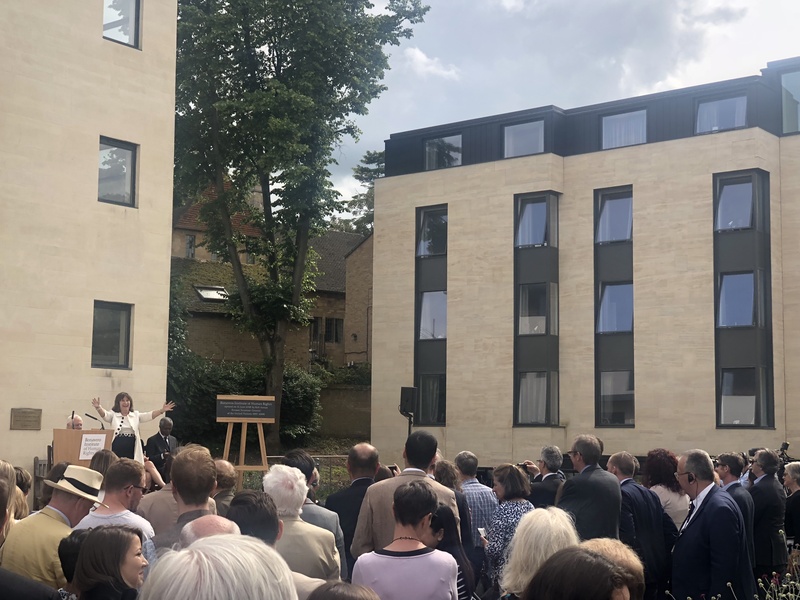 The Bonavero Institute of Human Rights was formally opened by former UN Secretary-General and Nobel Peace Prize-winner Kofi Anan on Friday 15th June. Lord Patten and Baroness Helena Kennedy were also in attendance. The research institute is part of the University of Oxford’s Faculty of Law, and is housed within Mansfield College’s new Hands Building, for which Eckersley O’Callaghan provided structural engineering services. The building, which features extensive use of cross-laminated timber, was completed in October 2017.